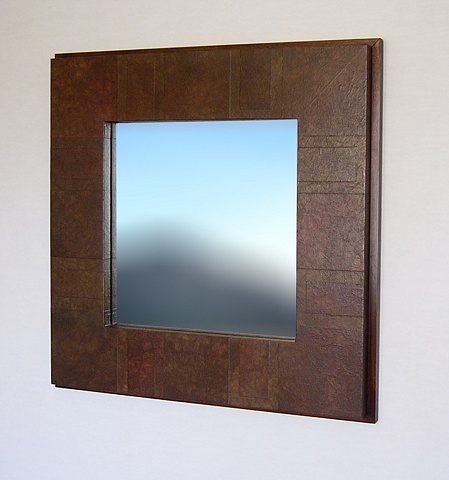 This modern Platform mirror frame was made by applying torn and tinted paper over a hardwood plywood frame. The frame has walnut edging creating a stepped-up platform frame effect. The color is called "Sonoma". It has a urethane topcoat and wax finish.